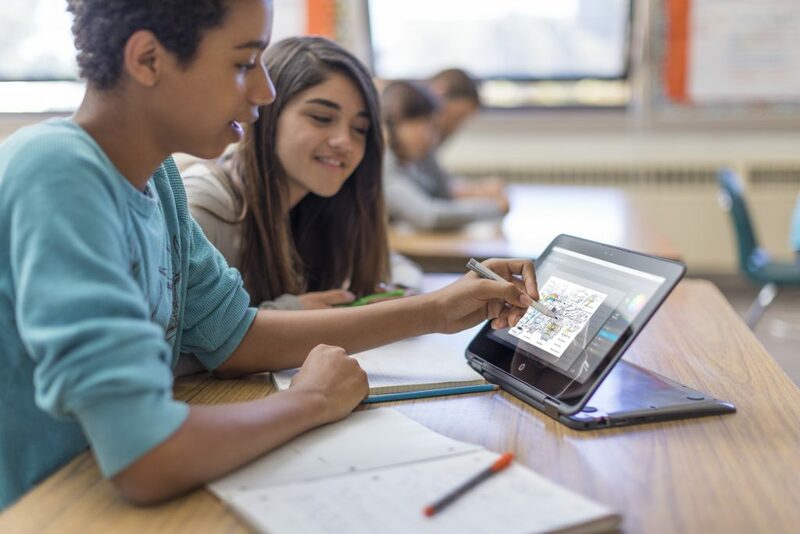 Microsoft: we are announcing Microsoft Intune for Education: a new cloud-based application and device management service that is built on the proven Microsoft Intune service, offering easy setup and management in shared learning environments. Also, in partnership with OEMs, we are delighted to announce that starting at just $189, Windows 10 PCs are available today from Acer, HP and Lenovo, with many devices featuring Windows Ink, touch support and with great designs that are perfect for the classroom. Now Windows 10 devices offer the power, performance and security schools need at the same price as Chromebooks, with none of the compromises.